Photo of 2014 Tacoma courtesy of Toyota. Toyota will introduce its redesigned 2016 Tacoma at the Detroit auto show in January into a more competitive mid-size pickup market that now features General Motors' Chevrolet Colorado and GMC Canyon. 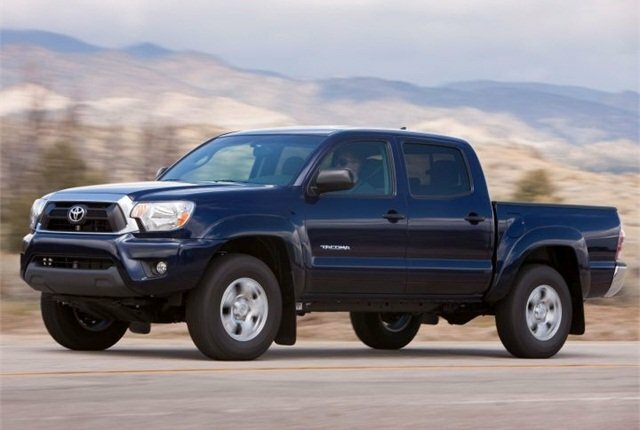 The Toyota Tacoma, which has dominated the mid-size pickup segment, is now in its second generation that began with the 2004 model year. Toyota has released few details about the new truck other than to say "an unbreakable attitude and new, rugged tech, Tacoma’s off-road prowess is more formidable than ever." Fleets registered 13,152 Tacoma pickups in 2013, including 10,074 in commercial fleets, 948 in government fleets, and 2,130 in rental fleets. The North American International Auto Show's press preview has been set for Jan. 12. The public show runs from Jan. 17-25.